I can upload up-to 1000 products on your eCommerce website such as Magento, WordPress, Shopify etc.. I've over 3 years experience in Products uploading on various platforms using CSV and Manually. If you have any more question about the hourly contact me. The first thing that need from you start the task is the Products database, that you can deliver in Excel Spreadsheet or it can be a reference website, where I can get the all Products information. The second thing I need from you to your website Login Details where you want to submit the products on, that you can send through the chat or email. Hello My Name Is Subhash and I'm a full time Freelancer, If you are looking for an Products posting and Data Entry Expert? 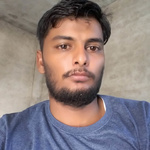 Then Look no further, I'm here to take care of...Read moreHello My Name Is Subhash and I'm a full time Freelancer, If you are looking for an Products posting and Data Entry Expert? Then Look no further, I'm here to take care of your business.